I have to admit sadly, that this is the first book I've read by Rachel Hauck, I have all the rest of her books sitting on my TBR shelf as I type, and I could kick myself for waiting so long to read her books! 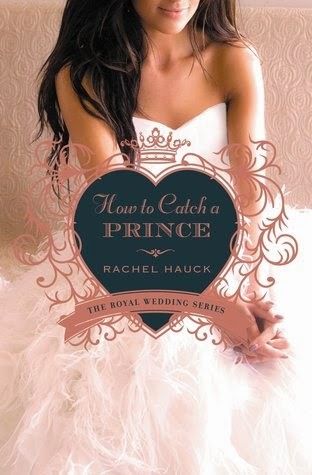 How to Catch a Prince was just a fantastic story. I didn't know what to expect when diving into the pages, but I was pleasantly surprised as I worked my way through. This wasn't just some fluffy romance. No! There was so much more to it. The depth of the characters and the emotions and issues they have to work through, and the fact that their faith play a big part. They show that when you have one set of plans, God looks at them and says...yeah, no. He has plans for us, and when we let them happen, it will be so much better then what we could have planned for ourselves. I really enjoyed this book and the contemporary fairy tale feel of it, because really, every girl would love to find her own prince, real royal title or not. This book just captured me up into Stephen and Corina's story. The writing was just amazing and the characters worked so well together. I can't wait to go back and read the other two books in this series. This book was a delight in so many ways!! 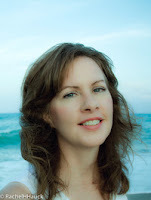 Rachel Hauck is an award winning, bestselling author. Her book, The Wedding Dress, was named Inspirational Novel of the Year by Romantic Times, and Once Upon A Prince was a Christy Award finalist. Rachel lives in central Florida with her husband and two pets and writes from her ivory tower.